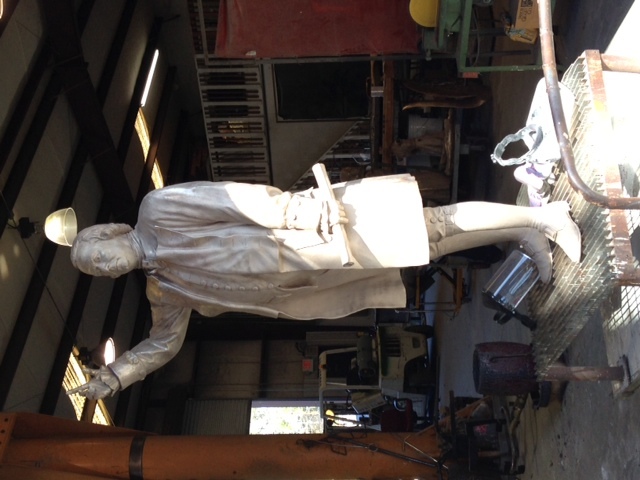 We are happy to report that Samuel Adams has left the building. That is sculptor Susie Chisholm’s studio in Savannah, Georgia. He is now making the 1,104 mile drive to Boston. 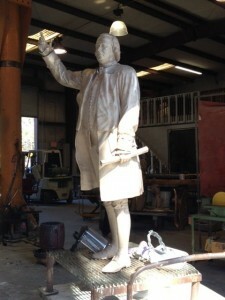 This magnificent statue will be unveiled in front of the Boston Tea Party Ships & Museum on April 19. We hope to see you there!